Midland Ontario Reflexology is trained through the Reflexology Association of Canada, and has earned the designation of R.C.R.T. - Registered Certified Reflexology Therapist. The Reflexology Association of Canada (RAC) was established in 1976 to provide training, academic requirements and circulate and share information about reflexology. The Association has grown into a Canada-wide organization with members and teachers internationally. In 1978 the Association was incorporated as a federally chartered not for profit organization, with federally approved By-laws and policies and procedures that regulate the way the Association is managed. All members are guided by our By-laws. 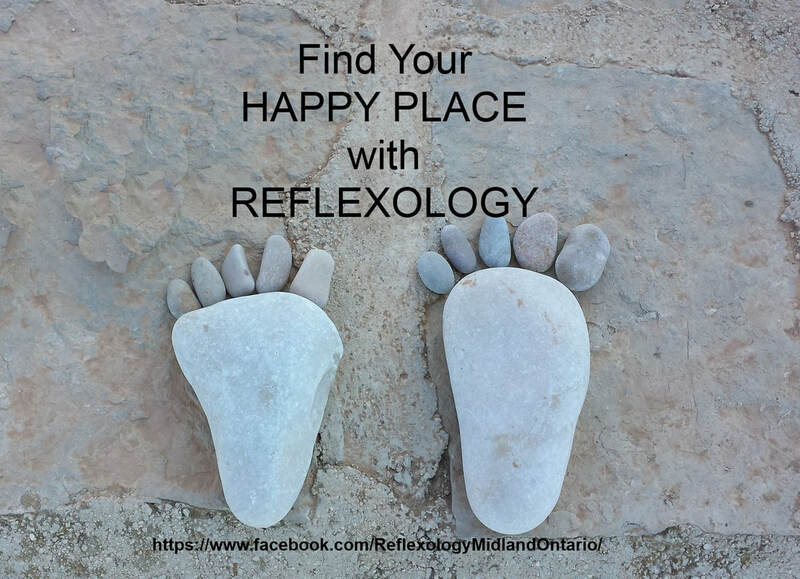 Your Midland Ontario Reflexologist has over 4 years of professional practice with clients in Midland, visiting homes and businesses, volunteering, and in office. She participates in the RAC Continuing Education Program, Over the course of the year, Over the year, this includes taking complimentary courses, as well as courses and classes related to reflexology, anatomy, health and wellness.